Dhru took his own words to heart when he and Dr. Alejandro Junger founded “The Clean Program,” a 21 day body cleanse based on the New York Times bestseller “Clean” by Dr. Junger. Purohit praises the power of introducing people to one another. People can be afraid to speak up, like when you see an audience sitting there quietly, afraid to raise their hands. So you need to show them your community is a safe place to share thoughts and ideas. 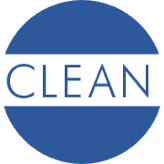 NING has helped the Clean Program grow to over 45,000 members. Purohit’s final words of advice are based on his own experience of seeing his previous, once popular blog fade when he stopped giving it enough attention.